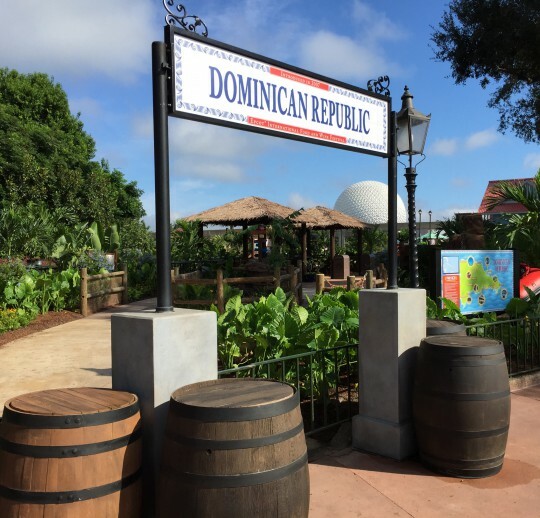 Food & Wine ’15 Menu “Recon”: Dominican Republic | It's "All in WDW"
Three dishes? Three disappointments. 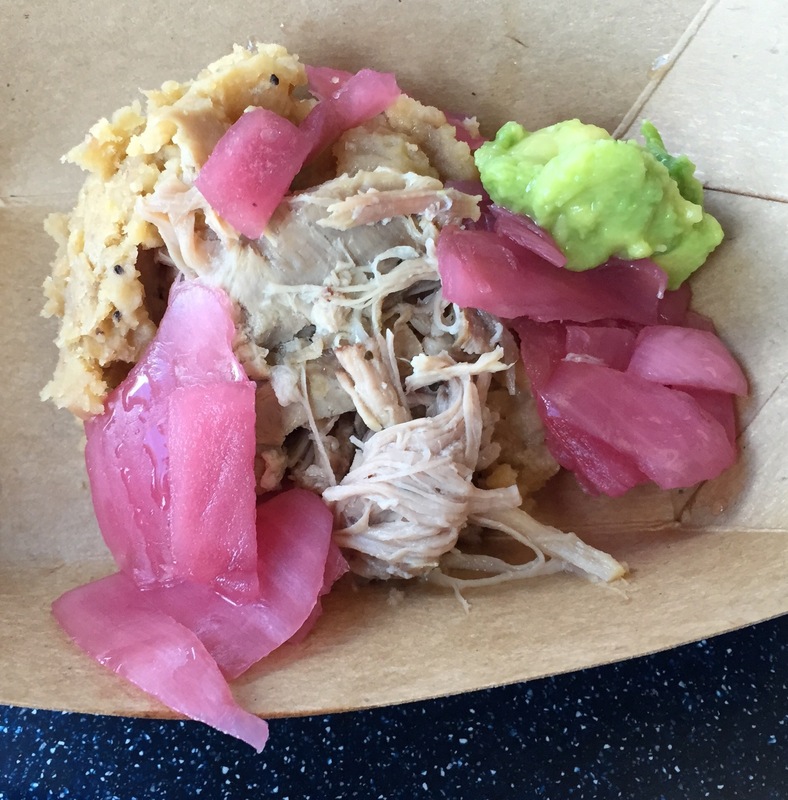 Sorry, Dominican. Label them all “Just OK”! Why? Take your Roasted Pork. No, please take it. Actually, it wasn’t all that bad, per se. It just left us looking for some flavor. Any flavor. On the good side, it was pretty tender. 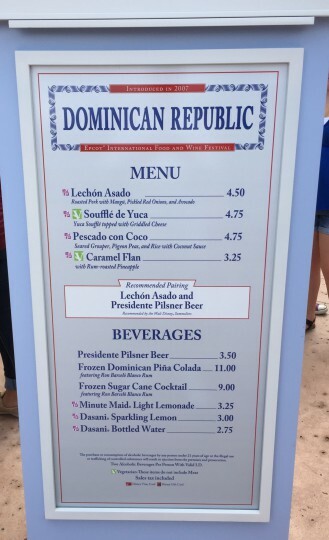 The Yuca Soufflé? It was lumpy. 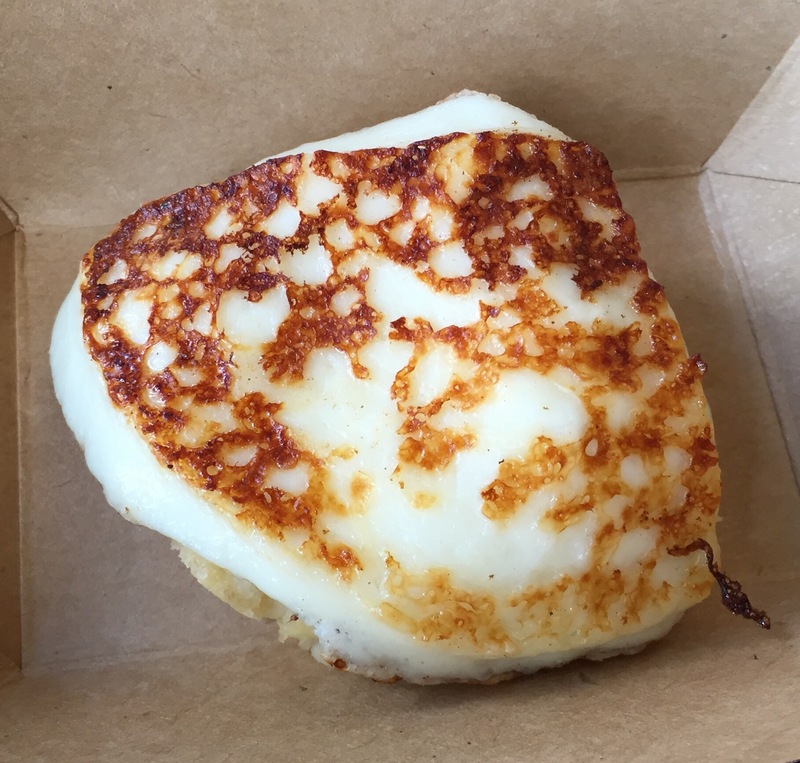 Its accompanying Griddled Cheese? Now, that was pretty good. Maybe serve that by itself next time? Finally, the coconut rice that cushioned your Seared Grouper tasted phenomenal. The fish itself? 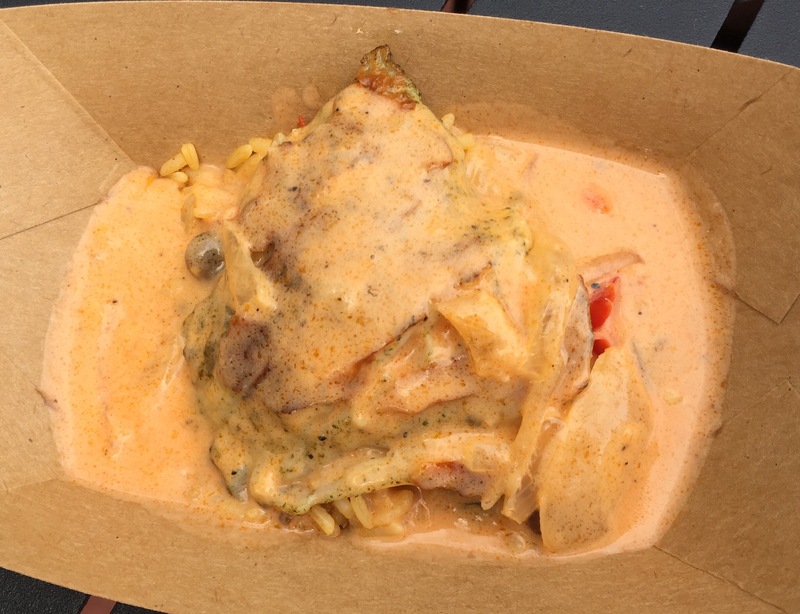 Well, I’d love to see the dish again … using mahi-mahi. Something milder than grouper would be really great.